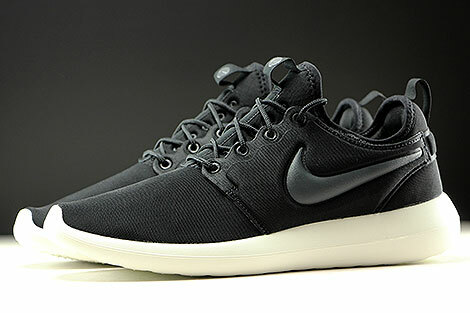 If you want a futuristic runner made out of mesh upper, it is a good idea to have a closer look at the Nike Roshe Two. 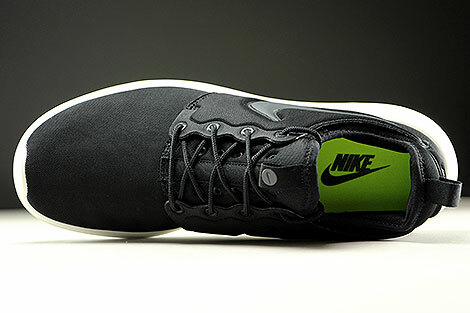 It is more a lifestyle and lightweight sneaker that adds lot of comfort without the air cushioning. 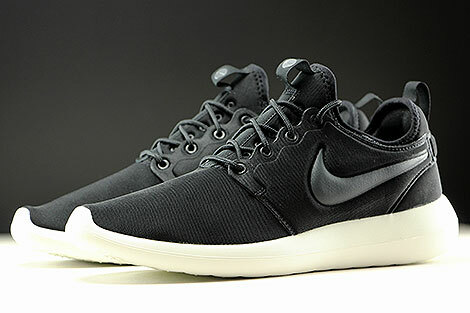 On the upper you can find tonal overlays in black, nice and comfortable fabric lining in black and a foamed sockliner which you can also remove if you want. 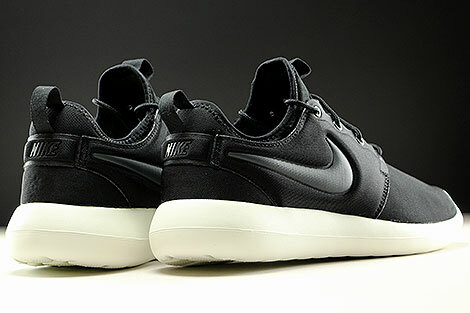 On the tongue you can find also a woven Nike Swoosh loop in black without any stitching on the back. 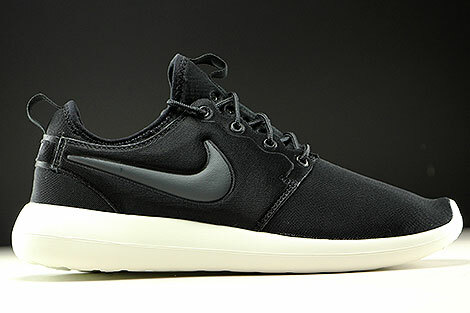 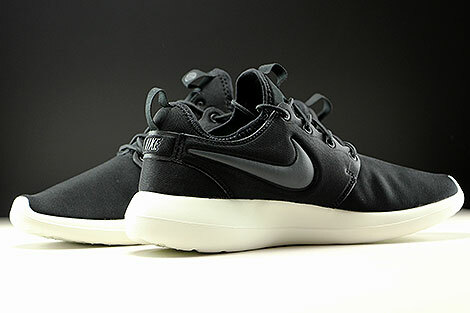 If you need a fresh running silhouette with quarter support, heel support and some cushioning you have to try out the Nike Roshe Two Black Anthracite Sail. 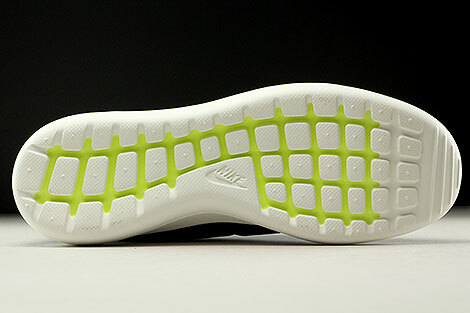 At the sail midsole you will find a special EVA compound, that is soft but supportive and has the durability of a soft rubber.